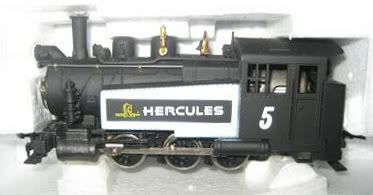 The Hercules example is not pictured, but listed with the Santa Fe and Pennsy Saddle Tank steamers in the 1978 catalog. That year the retail is $16 for this model. 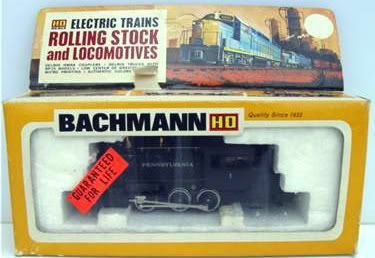 Bachmann's 1978 catalog is also the final year any Saddle Tank find itself in the steam engine roster. The Saddle Tank is Bachmann's first HO-scale steam engine offering. It is first found in the company's 1972 product catalog. 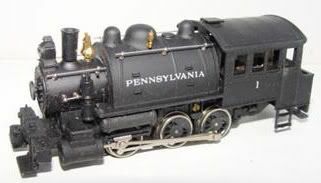 For its introduction, Bachmann lists the above Pennsy example and a Santa Fe version. The Saddle Tank is shown as available in a powered model with operating headlight carrying a retail of $12.